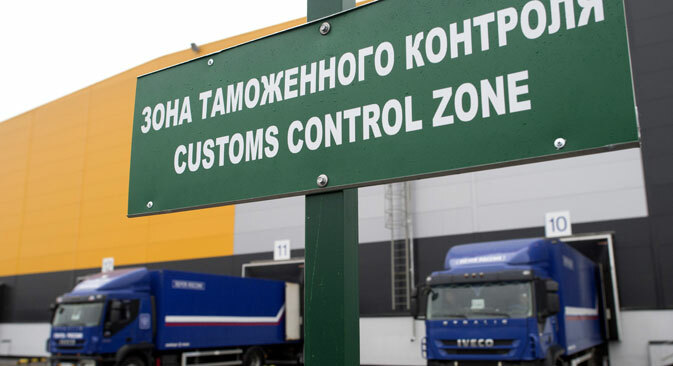 The Russian Government has proposed the preparation of a mutual register of “bona fide participants in foreign economic activities” whose products will not have to pass customs inspection during border crossings. The Federal Customs Service (FCS) of Russia has invited India to participate in the ‘green corridor’ project. The Russian side has proposed that the two countries create a list of entrepreneurs or companies whose goods, on a reciprocal basis, will not have to pass customs inspection during border crossings, a diplomatic source in New Delhi told RIR. This project is already being implemented, in particular, with Finland and Turkey. Agreements have also been signed with China and Italy. Russia considers such green corridors as one of the most important levers for increasing mutual trade. “The main advantage of the ‘green corridor’ is that goods being transported by entrepreneurs will not have to undergo customs inspection and examination when crossing the border – measures now commonly used to minimize risks. This also applies to documents. Samples and specimens will not be taken. The provision of original copies of documents is not needed, and so on,” added the source. To get one’s name on the registry, a number of criteria need to be met: the company must have no outstanding unpaid customs duties and absence of rulings on administrative violations in the countries among which the project is being implemented. The mechanism itself should work as follows – an electronic pre-declaration is issued for the cargo, it is assigned a unique individual number, in accordance with the identifier in the “green corridor” registry. The customs inspector thus already knows what goods are being shipped and does not need to inspect them – then without stopping, the cargo passes through the customs clearance post. In addition, it is assumed that for green corridor participants, there would be a separate post and a special inspector to serve them at the customs terminal. “In the absence of major amendments or proposals from the Indian side, this document may be signed before the end of this year,” said RIR’s source. Earlier, the representative office of FCS of Russia in India, in collaboration with the Russian Trade Mission in India organized the first seminar to explain current Russian customs regulations to Indian entrepreneurs, especially those dealing with the temporary importation of goods and samples, as well as new initiatives of the service. The two organizations drew the attention of the Indian business community to the existence of the FCS representative office in their country, to which local entrepreneurs can turn, if they need assistance.